Recent analysis done by iSuppli revealed the estimated BOM (Bill of Material) cost on the new iPod Nano which was just launched by Apple Inc. recently. This is the follow on tear down analysis conducted to Apple’s famous iPhone two months ago. However, there are some differences in approach as this time it purely covers the components’ cost only without considering other cost factors. Obviously, Apple has taken a great step in reducing the BOM cost by changing most of its current vendors to produce the cheaper version of ipod but yet with more functions integrated into the gadget. Both 4GB and 8GB version were estimated to cost $58.85 and $82.85 respectively. With the selling price of $149 and $199, the margin is more than 100 percent which is impressive and lots higher than its predecessor iPod Nano and even iPhone. The total cost is said to be 18.5 percent lower than previous version which was launched back to 2006. However, it didn’t cater for the manufacturing, development, IP (Intellectual Property) and software but just merely based on components’ costs in mass quantity. Micron who supplied the NAND flash memory to Apple turns up to be the winner after the product launching. It managed to cover around 50 percent of the whole product BOM cost. Samsung still serves the important role of supplying the main core processor to the new iPod Nano, continuous from its previous version. 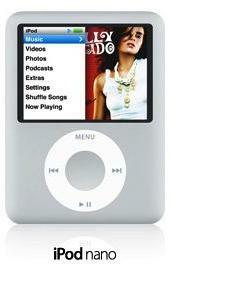 iSuppli’s analysts forecast that the sales volume of new iPod nano will able to achieve 23 million units in 2007 and 27.9 million in subsequent year.